Cultural materials conservation develops capacity and knowledge to conserve continuing cultural records. Drawing on a number of case studies, this seminar will examine how the role of materials conservation changes and expands when paired with digital technologies. Examples include working on the visualisation of Wayang Kulit Puppets; the acoustic repair of musical instruments; the digitisation of Church heritage in the Philippines; and using citizen science platforms in the City of Port Phillip. Through such interactions and understanding, conservators aim to enable individuals and communities to create and access their heritage for the present and into future. Dr Nicole Tse is part of the research and teaching team at the Grimwade Centre for Cultural Materials Conservation. 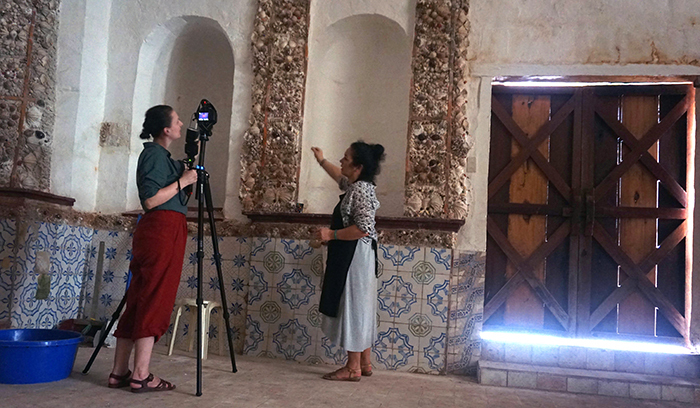 Tse’s research focuses on the development and support of regionally relevant conservation approaches for works of art in tropical Southeast Asia, under the auspices of Asia Pacific Tropical Climate Conservation Art Research Network (APTCCARN). In 2017, Tse was an IIAS Affiliated Fellow at the University of Leiden, Netherlands, and co-convened a meeting on 'Natural disasters and cultural heritage in the Philippines: Knowledge sharing, decision making and conservation'.